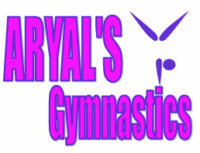 If you've already attended your free class, and you're ready to attend Aryal's Gym on the regular - sign up here! What class(es) are you interested in signing up for? Please list any special medical concerns (physical or behavioral) that may affect your child's participation in this class about which you would like us to be aware. Yes, I authorize Schifano Gymnastics, LLC to take photographs of my child. I am aware that the photographs may be used for publicity and advertising purposes. Yes, I understand that there is a $50 fee for any NSF check. I understand that gymnastics is a hands on sport and coaches will be spotting (i.e. ;touching) my child. I hereby give permission that the above-mentioned student may be given emergency treatment as needed by staff members and I also give Schifano Gymnastics my permission for my child to be transported by ambulance or aid car to an emergency center for treatment. In the event that I or my preferred physician cannot be contacted, I further consent to medical, surgical treatment, hospital care and procedures to be performed for my child by a licensed physician or hospital when deemed immediately necessary or advisable by a physician to safeguard my child's health. I am fully aware of and appreciate the risks, including the risk of catastrophic injury, paralysis, and even death, as well as other damages and losses associated with participation in gymnastics activities and events. I agree that Schifano Gymnastics and the sponsor of any Schifano Gyumnastics event, along with the employees, agents, officers and directors of these organizations shall not be liable for any losses or damages occurring as a result of my perticipation in the event, except where such loss or damage is the result of the intentional or reckless conduct of one of the organizations or individuals adentified above. We the staff of Schifano Gymnastics, LLC recognize our obligation to make our students and their parents aware of the risks and hazards associated with the sport of gymnastics, trampoline, tumbling, cheerleading and dance. Students may suffer injuries, possible minor, serious, or catastrophic in nature. Gymnastics, trampoline, tumbling, cheerleading, and dance can be dangerous and can lead to injury. Parents should make their children aware of the possibility of injury and encourage their children to follow all the safety rules and the coaches’ instructions. Schifano Gymnastics, LLC its coaches and other staff members will not accept responsibility for injuries sustained by any student during the course of gymnastics, trampoline, cheerleading, or dance instruction, or open workouts or in the case of any exhibition, competition, or clinic in which he or she may participate while traveling to or from the event. With the above in mind, and being fully aware of the risks and possibility of injury involved, I consent to have my child or children participate in the programs offered by Schifano Gymnastics, LLCI, my executors, or other representatives, waive and release all rights and claims for damages that I or my child may have against Schifano Gymnastics, LLC and/or its representatives whether paid or volunteer. I also affirm that I now have and will continue to provide proper hospitalization, health, and accident insurance coverage which I consider adequate for both my child’s protection and my own protection. I also understand that it is the parents’ responsibility to warn the child about the dangers of gymnastics and injury. The parent should warn the child according to what the parent feels is appropriate. Schifano Gymnastics, LLC will only warn the child through “Safety Messages” and our teaching style and progressions. I have read and agree to the waiver and release above. 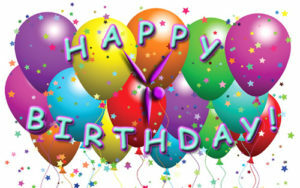 Rent our Kent Gym for a Birthday Party!